In November 1991 I made my first adult trip to Europe with two girlfriends. We spent time in four countries over 14 days, definitely not a “slow travel” trip. Our hotels, trains and rental car were pre-paid in the USA, but we carried American Express travelers checks for major expenses. I remember visiting money exchange offices to buy and sell the four different currencies that we needed on our trip and frantically looking for a place to get German marks when we drove from Salzburg to Munich. My, how times have changed!! A European vacation represents a significant investment and a variety of daily expenditures. You’ll make purchases in different currencies (fortunately now in the same currency—the euro—in most countries ), and your financial transactions will likely be handled differently than you’re used to at home. If you’re smart and plan ahead, you can save money through the way you manage money and have more money for other things… like more travel! It’s important for every European traveler to understand some important aspects of managing money abroad. 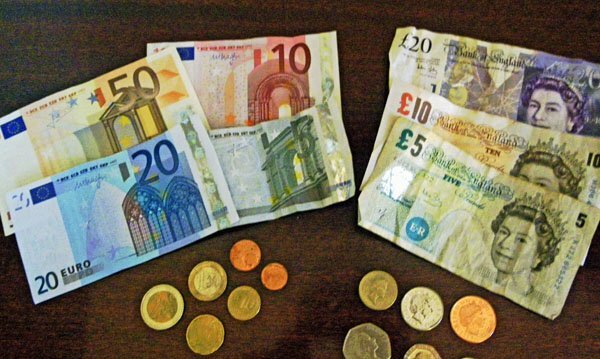 If you’re visiting Europe on a tour, you won’t have to worry as much about managing money. On our European Experiences small-group tours, almost all expenses for the week are included in the trip price, which our travelers pay in US dollars. But our travelers have expenses before and after joining us, as well as some out-of-pocket costs during the week… especially if they enjoy shopping. Independent European travelers will be handling more financial transactions and should pay even more attention to money management issues, as the cost savings can be significant if they make the right decisions. To get the best possible foreign currency conversion rate on credit card transactions and ATM withdrawals and to limit any fees. To ensure the security of our financial transactions. To make our trip as easy and stress-free as possible. To earn points or miles we can use for future travel. We asked several US-based members of the Slow Travel Tours group to join us in sharing their strategies for managing money in Europe. Our friend Pauline Kenny of Slow Europe also offered some tips. Charges paid to American-based companies before a trip (tours, flights, rental cars): Use your preferred credit card with the rewards system (points or miles) that best meets your needs. Instead of direct charges on credit cards, some small tour companies (like ours) may offer payment through Pay Pal; this also allows you to pay with your credit card and earn any points or miles. Payments to European companies that accept credit cards (European airlines, trains, hotels, restaurants, supermarkets, gas stations, museums and other attractions, and other purchases): Use a Visa or Mastercard with no or a low annual fee that has no surcharge for foreign transactions and the point/miles system that works best for you. Use this card whenever possible on your trip to provide safeguards against potential fraud, maximize your points, and limit the need to carry lots of cash. Payments in Europe that must be made in cash (small merchants that don’t accept cards, small purchases, tolls, parking, tips): Get cash in Europe from ATMs, using a bank account with no surcharge for foreign transactions or ATM fees. A few days before you leave on your trip, call your bank and credit card companies to let them know you’ll be traveling abroad and using your cards. When you provide the countries where you’ll be traveling, be sure to include other countries where you may make a layover, just in case you need to make a purchase or an ATM withdrawal at the airport. This is also a good time to double-check your withdrawal and credit limits. 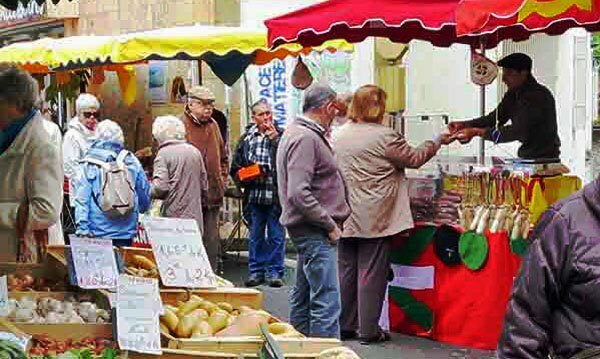 On our first trip to Provence… this market seller had to help me with the money! Before your trip, also take some time to learn the local currency. (Here are pictures of the Euro banknotes and coins. You can find similar online resources for the currency of those countries not on the euro. Study the coins and notes and learn their value by size, weight and/or color. And be sure you understand the exchange rate with your home currency. Come up with a simple calculation you can do in your head that enables you to get a rough estimate. It’s important to understand what something costs in your own currency. We use www.xe.com to do quick currency conversions. This website also offers mobile apps. Primary ATM card, one for each of us. Back-up ATM card from another bank, one for each of us. Primary credit card, one for each of us. Back-up credit card, one for each of us. “Starter” cash in any foreign currencies needed (brought home from our last trip), as well as some US dollars for emergencies and our trip home. Copies of all the ATM/credit cards, front and back, as well as copies of our passports and drivers licenses. We keep two copies of this in safe places—not in the same places as our money and card. Anne Woodyard of Music and Markets Tours also recommends copying your credit cards, ATM cards, and passport, as well as your health insurance information and emergency phone numbers. In addition to keeping a copy in a safe place, she suggests giving a copy to a trusted friend or family member. Most travelers like to have some currency with them before they leave home. One approach is to hold leftover money from the last trip. You can also obtain foreign currency before your trip from AAA or from your bank, but you’ll be charged a high exchange rate and probably also a fee. Bill Steiner of Adventures in Italy discourages their travelers from buying Euros in the United States because of the high cost. 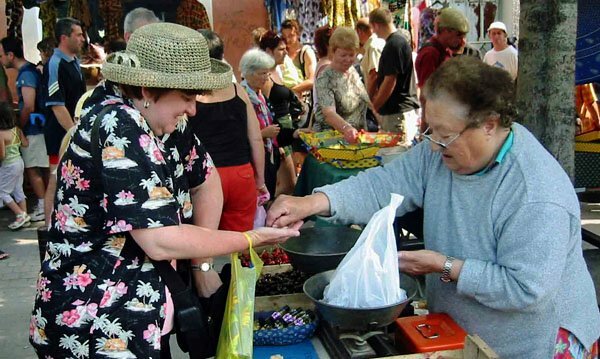 Cash is very important at outdoor markets, since only a few vendors selling more expensive items are likely to have a credit card machine. And because much of Europe has shifted to more secure “chip and pin” technology in their credit cards for unattended payments at machines (e.g. ticket machines, toll booths), foreign visitors without these types of cards will also need cash for these types of payments. Without a “chip and pin” card, if you have a rental car and need to buy fuel, you’ll only be able to buy fuel when an attendant can take your payment. Toll roads in Europe are now highly automated and lanes are designated for different types of payment. If you’re driving a rental car and don’t have a “chip and pin” card, be sure to get in a lane that accepts cash/coins (usually signed with pictures of money). It’s never happened to us, but friends have told us horror stories of being stuck at the front of a long line of cars when their American credit card didn’t work in the machine. Tolls are expensive, so if you’re unsure how much cash you’ll need, check the tolls for your route at www.viamichelin.com. You’ll also need cash for small purchases (snacks, drinks, newspapers, postcards etc. ), even if the establishment accepts credit cards. Some merchants in Europe specify a minimum amount for a credit card transaction, often 10 euro. Even if it’s not specified, we recommend always paying in cash if your charge is less than 10 or even 20 euro. Small merchants and market vendors also appreciate small denomination bills. Unless it’s all you have, don’t offer a 50 euro note if you’re paying for a four euro item at a market. We always try to hold onto a supply of larger denomination coins rather than counting out the exact amount due. We hoard coins to pay for parking at unattended machines and to leave small tips on the table. ATMs are everywhere in Europe, even in very small villages, and are the most convenient and economical way to get cash. Be sure to use a bank or post office ATM—not machines offered by independent companies like Travelex, which charge higher exchange rates. Most banks have a surcharge (usually 3%) for a transaction involving a foreign currency conversion. They may also have an ATM fee (perhaps $5.00) for using an ATM not in their own network. Talk to your bank to understand the additional cost involved if you make withdrawals in foreign countries. Every ATM we’ve ever used in Europe has offered the option for instructions in English. It still amazes me that our world is so interconnected that the ATM in our little village in Provence knows how much money I have in my USA bank account… in real time! The owner of the ATM may also assess a transaction fee; this is normally indicated during the ATM transaction and you’ll have an opportunity to end the transaction. Savvy international travelers have bank accounts that don’t charge a foreign currency transaction fee or ATM fees. We have a checking account with Charles Schwab for this reason, and so do several other members of Slow Travel Tours. Schwab will reimburse ATM transaction fees if they’re charged by another bank, and they have a reasonable fee for international wire transfers if that’s ever required. We use a credit card whenever possible in Europe. This minimizes the amount of cash we need to carry and provides good safeguards and recordkeeping; we also like earning points on our purchases. You’ll need a Visa or Mastercard for European travel; because of their higher fees, American Express isn’t accepted at many places in Europe. We use a Capital One Visa card, and most of the other members of Slow Travel Tours told us they do too. Capital One offers a variety of cards with different benefits and features; be sure to choose a card that has no foreign conversion charge like their Venture card. Jim Nilsen of Photography Travel Tours likes their option to get cash instead of reward points. 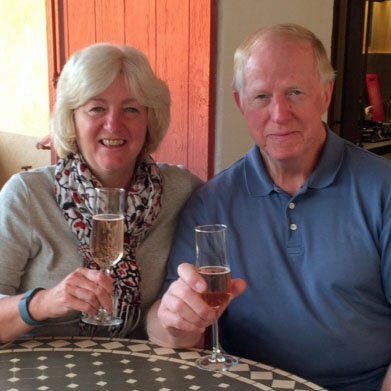 Anne and Kirk Woodyard of Music and Markets Tours recommend the Chase Sapphire Preferred card, also with no exchange fees; Anne and Kirk recently upgraded to their new “pin/signature” card since that type of card can be used in some machines/toll booths. This looks like an option well-worth investigating, also because of the benefits and rewards. In addition to a Capital One card, Shannon Essa of GrapeHops has a Chase British Airways card as a back-up card (and for purchase of British Airways tickets), also with no foreign transaction fee. There are other banks now offering credit cards with no foreign exchange fees; if you’re planning to make one or two international trips a year, this is definitely an area you need to research. Occasionally in Europe you may be offered an option to pay a credit card charge in the local currency or your own currency. Always choose the local currency; the conversion to another currency includes a hefty rate premium. Do you have other suggestions or tips for obtaining cash or paying with credit cards in Europe? Are there other banks or credit cards you recommend with no foreign transaction fees and excellent benefits?